GUATEMALA CITY – Guatemala City’s ghettos are renowned for their gangs, drugs and violence. But when U.S.-born director Coury Deeb stayed in one, he saw a different side to life in the slums – one of people trying to escape their surroundings through dance. “We met with some B-Boys and learned that though they look like gangsters, many of them are not gangsters or involved in criminal activities. Yet they live next door to gangsters who often pursue them to join their gangs,” Deeb said. “What we saw with the B-Boys was a group whose desire was to be part of something good, to express themselves through art, through B-Boying,” Deeb added. Deeb’s film production company, Nadus Films, believes in using what people are good at to serve and empower. Shining a light on the breakdancing subculture of Guatemala City, “BBoy for Life” showcases how Cheez, Gato and Leidy defy death and escape the pressure and violence of gangs through dancing. 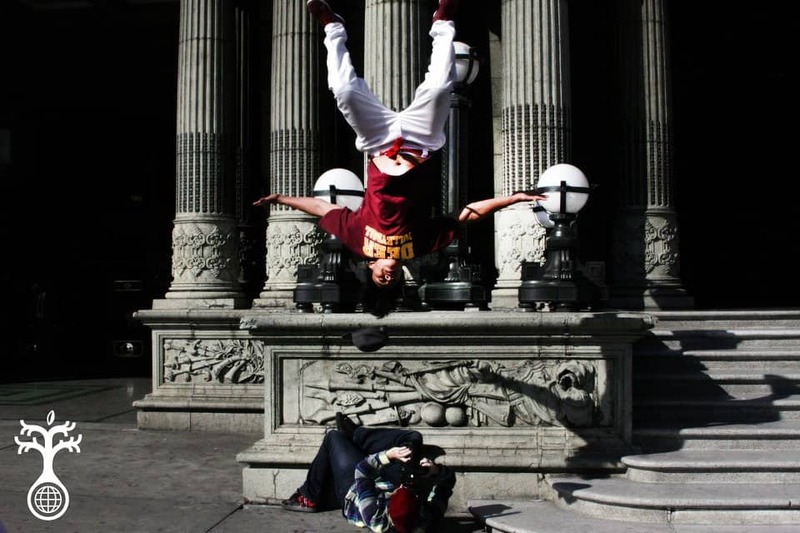 Cheez, 22, is one of the best B-Boys in Central America and forms part of the dance group Poker Crew. He taught himself to breakdance in 2008 and has since gone on to perform for the Guatemalan president and represent his country at international B-Boy competitions in France and El Salvador. He sees breakdancing as a way to reduce crime, and a few months ago started a dance movement called Urban Attack. However, he wasn’t always so focused. Cheez, whose real name is Walfer Lossi, said his life changed when he started dancing. He learned to turn down destructive things like drugs and crime. But the change has its consequences. “I’ve had trouble with people who don’t like what I do. They’ve hurt and threatened me because of what I do,” he said. 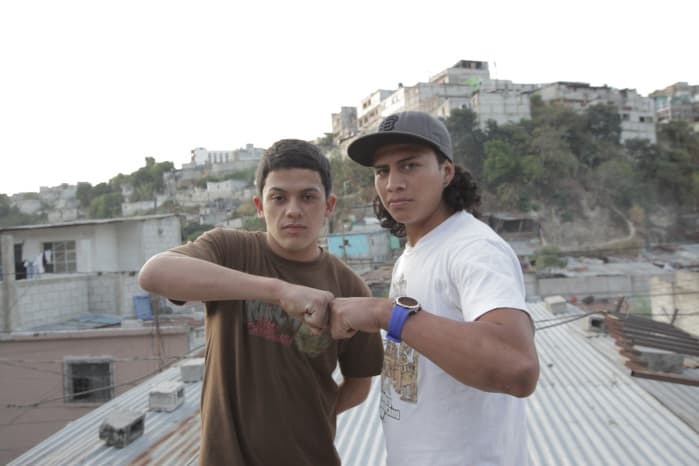 Being a B-Boy in Guatemala City carries a burden and a risk due to the plague of gangs throughout the ghettos. Gang members always are looking for new recruits. According to a 2012 report by Human Rights Watch, Guatemala has one of the highest rates of violent crime in the region, which is mainly the product of armed groups and criminal gangs who exert a similar level of power to that of terrorist groups in other countries. Leidy Estrada was originally hired to provide security during the documentary’s production, but she quickly emerged as one of the story’s main characters. “What’s interesting about Leidy is that she was in prison and was an active gangster. When we landed for the first production trip she was only three days out of prison. Our partners on the ground thought ‘what better person to watch for dangerous activity than someone who knows the streets very well,’” Deeb said. “Learning about us, Native Films, learning about why we do what we do, learning about our characters and meeting the B-Boys, [Leidy] was turned on to a world of opportunity, redemption and information. She became the bridge between good and evil,” he added. Originally imprisoned for extortion, Leidy’s life changed dramatically when she met the B-Boy community. She recently graduated as valedictorian and now manages finances for a nongovernmental organization, as well as giving talks to youths on the reality of being in a gang. “When I got out of prison I left the gang. It was a hard decision because I was worried they’d harm my family, my children or myself. They don’t let you go easily. But thank God we’re still here without problems,” she said. “My purpose [in the film] was to help a lot of youths and tell them not to fall into the path I fell into, to talk about how my story has changed. I hope it helps a lot of children to change their minds about gangs and to think about them,” she added. A story of hope, struggle and redemption, “BBoy for Life” exposes not only the threat Guatemalans face on a daily basis, but also the journey many of those who are surrounded by violence seek towards a life where peace and hope shine more brightly. “‘BBoy for Life’ shows that there’s beauty in the mix of one of Guatemala City’s darkest neighborhoods,” Deeb said. “BBoy for Life” was screened at the United Nations last month and will be available worldwide On-Demand starting May 15.